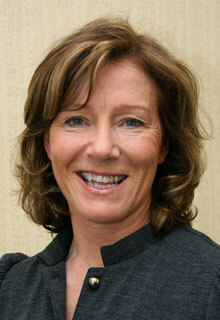 Ruth is a highly experienced Property and Probate Lawyer. She is particularly interested in dealing with the legal affairs and protecting the interests and well-being of the elderly and vulnerable She has considerable experience in advising, drafting and implementing Enduring Powers of Attorney where people arrange their affairs by appointing their chosen representatives to make necessary decisions in the event of disability preventing the person from managing their own affairs. Ruth has extensive experience of acting for clients in the acquisition, development, financing and disposal of property both residential and commercial. She has dealt with the conveyancing aspects of some of the largest Compulsory Purchase awards/settlements in County Clare in connection with the Bunratty, Ennis and Gort/Crusheen By-Pass Projects as well as the Bord Gáis Éireann Pipeline to the West Project. Ruth is well used to complex Estate Planning and obscure aspects of Conveyancing. She is calm, down to earth and realistic in her advices to clients and at all times places primary focus on their benefit. Away from the office Ruth enjoys spending time with her 4 adult children. Her interests include cycling (particularly from Ballinalacken along the coast to Ballyvaughan), running, hiking and swimming. She loves the Burren and the coast and beaches for long walks with her springer spaniel. She is a member of a philanthropic organisation and is committed to the well-being of the less privileged in society. She has more than a passing interest in the Meath football team with whom her late father won an All-Ireland in 1949.